The zinc wall on our property has been a symbol of unfinished projects and dilapidated buildings in need of a little TLC. But this is about so much more than getting rid of eyesores. It’s about wrecking people’s lives for the ordinary. It’s about unity, and it’s about expanding the work of Ten Thousand Homes at our uVillage campus. Bringing down this wall will serve three purposes. One, it will contain a classroom for students in our training programs. Two, it will provide office space for Ten Thousand Homes staff and beyond. Three, we will be able to offer six staff housing units. Let’s break it down. Training is a key part of what we do at Ten Thousand Homes. From skills training to discipleship classes, we’ve seen the need for training many times. We will be holding a Discipleship Training School in July bringing students together from all over the world! This is a huge opportunity for them to live outside of their ordinary. We want to create a learning environment that will propel them to grow closer to God and make a difference in the world. We have a real need for more office space to accommodate our growing staff. Not only this, but we have a desire to create extra spaces to rent to other NGO’s in our area. This not only creates more synergy, but it also speaks of unity, that we’re all in this together no matter what organization we belong to. Not to mention, rent payments will help us cover daily expenses of running such a large property. Win, win, win. We have a small amount of people doing a large amount of work. We dream of seeing more people coming alongside to further expand the work of Ten Thousand Homes. Sparked by the 1989 movie Field of Dreams, I can’t get the phrase, “If you build it, they will come,” out of my head. We need staff, and we need a place to house them. It’s hard to know which should come first, but I believe if we make the space, the people will come to fill it. 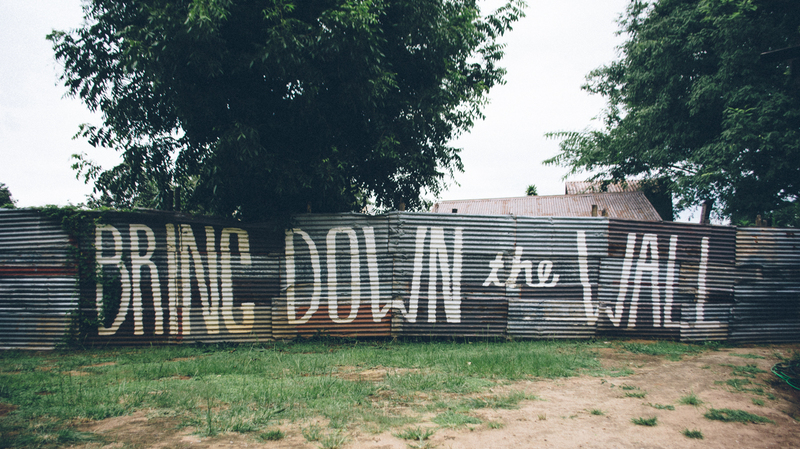 Will you join us in bringing down the wall? Phase 1 - $20,000 by May 1st! Our Compassion School starts on July 23, 2018, which means that construction of our classroom will be beginning soon. Help us reach $20,000 by May 1st. Only $18,050 left to reach this goal!